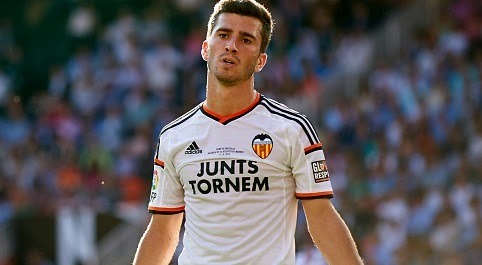 Arsenal target Jose Luis Gaya is ‘not for sale’ Valencia have told the Arsenal that their star full-back Jose Luis Gaya is not going to leave them in the summer, according to Metro. Valencia have told Arsenal that they should not waste their time on star full-back Jose Luis Gaya as he is not going to leave them in the summer, according to Metro. Arsenal have been targeting Jose Luis Gaya since the winter window and were planning to seal his deal in the summer despite of strong interest from Real Madrid. But with the latest comments from President Amadeo Salvo, the player is likely to stay at Valencia. Amadeo Salvo told Spanish media that they have no plans to sell their star player, they will not even discuss on this topic. Salvo further added that the player is happy and will stay. Valencia are already famous for developing talented full-backs, Jordi Alba is one of the example who is now a regular for Barcelona. The Spanish youngster who has been tipped as the next big star has a current £13.5million buy out clause which would be double if he pens a new deal. Meanwhile, Manchester City are also keeping tabs on the player who has featured 25 times this season for the La Liga side. Valencia might seal his new deal and even he would stay this summer but a big fee is surely waiting for him in the future as big giants Real Madrid and Manchester City both are keen to land Arsenal target.